Hawai'i Public Radio presents 2017 GRAMMY-award nominees Laurie Lewis and Tom Rozum in its Atherton Studio on Saturday, February 4, 2017 at 7:30 p.m. 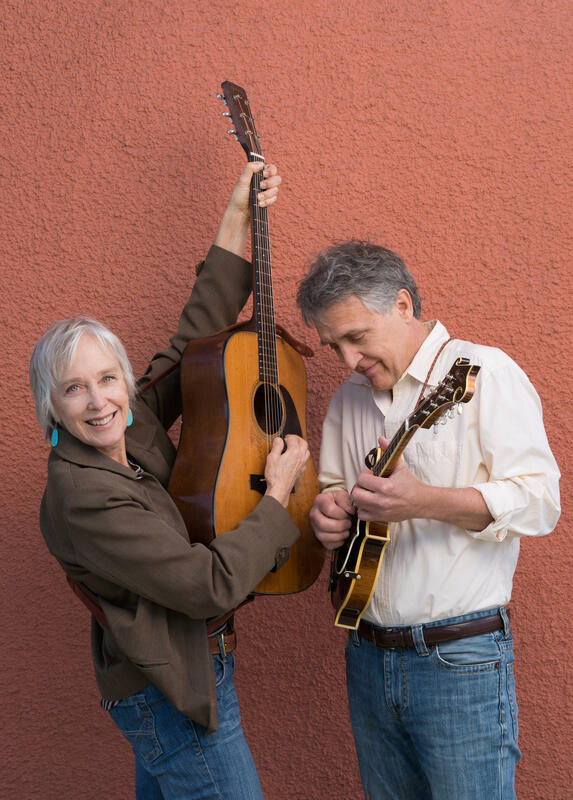 Fiddler and guitarist Laurie Lewis and mandolin player Tom Rozum are widely regarded as being among the most preeminent bluegrass and Americana artists of our time. They will perform their versatile and engaging repertoire of love songs, laments, social commentary, and free-wheeling fun. Reservations for this spirited evening of bluegrass and old-time music may be made online at www.hprtickets.org or by calling the station (955-8821) during regular business hours. Tickets are $30 general, $25 for HPR members, and $15 for students with ID; service fees are applied to online orders. The Atherton Studio is located at Hawaiʻi Public Radio, 738 Kāheka Street. Doors open a half hour before the performance. Advance ticket purchase strongly encouraged as the house is frequently sold out before the performance date. Laurie Lewis and Tom Rozum formed a musical partnership in 1986, when Rozum joined Lewis’ acclaimed band "Grant Street." They are well-known for their perfectly balanced harmonies. Rozum’s sometimes quirky and always deeply musical mandolin playing provides the ideal counterpoint to Lewis’ original compositions. Between them, they have recorded over twenty albums, as a duo and with their many talented musical friends, including their own 1995 GRAMMY-nominated album “The Oak and the Laurel.” Lewis earned a Grammy for “True Life Blues: The Songs of Bill Monroe.” Their latest album pays tribute to Hazel Dickens and Alice Gerrard, two trailblazing women of bluegrass, and is nominated for a GRAMMY for Best Bluegrass Album, 2017. Read original press release here.